“Anarchism without adjectives” is a phrase coined by the Cuban-born anarchist, Fernando Tarrida del Mármol (1861-1915), who was active in the Spanish anarchist movement for many years. In Spain, by the 1880s, open conflict had developed between the advocates of “anarchist collectivism” and “anarchist communism.” The collectivists favoured individual remuneration on the basis of one’s contribution to the productive process, and an anarcho-syndicalist approach, with anarchists organizing the workers and peasants into local sections federated with one another on a regional, national, and sometimes international basis. The anarchist communists regarded individual remuneration as a hold-over from capitalism, inadequate to meet the needs of the poorest workers and peasants who were often under- and unemployed. 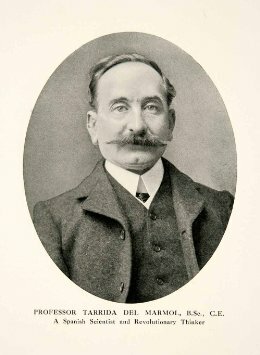 They advocated distribution of wealth on the basis of need, along the lines proposed by the Italian anarchist, Carlo Cafiero: “from each according to his ability, to each according to his will.” They also favoured looser forms of organization, with more intimate anarchist action groups to foment insurrection and revolution. In order to surmount the sectarian infighting between the two tendencies, Tarrida del Mármol advocated an “anarchism without adjectives,” neither collectivist, syndicalist nor communist. He argued that it was inconsistent with an anarchist approach to advocate any particular kind of economic arrangement, whether collectivist or communist; people needed to be free to develop their own solutions, through a process of trial and error. 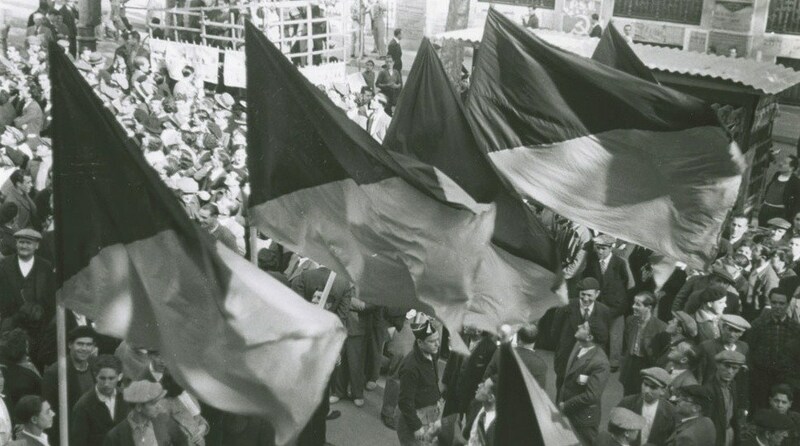 As I document in my new book, ‘We Do Not Fear Anarchy – We Invoke It’: The First International and the Origins of the Anarchist Movement, a similar approach had been advocated by some of the anarchists active in the anti-authoritarian International, to which the Spanish Federation of Workers had been affiliated. Below, I reproduce excerpts from an letter from Tarrida del Mármol to the French anarchist paper, La Révolte, in which he discusses “anarchism without adjectives,” in the context of some friendly criticisms of the French anarchist movement, which at the time consisted primarily of autonomous anarchist communist groups which eschewed more formal forms of organization. In Volume Two of Anarchism: A Documentary History of Libertarian Ideas, I included a more recent statement of the “anarchism without adjectives” perspective by Diego Abad de Santillan, who was active in the Spanish anarchist movement before and after the Spanish Revolution and Civil War. Our pole star is Anarchy, the goal we seek to reach and towards which we direct our steps. But our path is blocked by all classes of obstacles and, if we are to demolish them, we must use the means that seem best to us. If we cannot adapt our conduct to our ideas, we let it be known, and seek to come as close as possible to the ideal. We do what a traveller would do when he wishes to go to a country with a temperate climate but who, in order to reach it, has to go through tropical and glacial zones: he would go well-furnished with furs and light clothes that he would get rid of once he arrived at his destination. It would be stupid and also ridiculous to want to fist-fight against such a well-armed enemy. Our tactics derive from what has been said. We are anarchists and we preach Anarchy without adjectives. Anarchy is an axiom and the economic question something secondary. 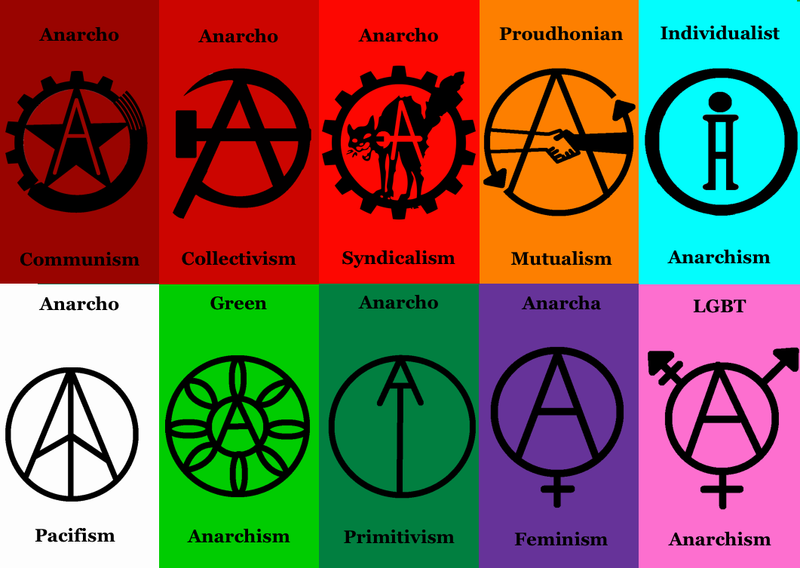 Some will say to us that it is because of the economic question that Anarchy is a truth; but we believe that to be anarchist means being the enemy of all authority and imposition and, by consequence, whatever system is proposed must be considered the best defence of Anarchy, not wishing to impose it on those who do not accept it. This does not mean that we ignore the economic question. On the contrary, we are pleased to discuss it, but only as a contribution to the definitive solution or solutions. Many excellent things have been said by Cabet, Saint Simon, Fourier, Robert Owen and others; but all their systems have disappeared because they wanted to lock Society up in the conceptions of their brains, despite having done much to elucidate the great question. Remember that from the moment in which you set about drawing up the general lines of the Future Society, on the one hand there arise objections and questions from one’s adversaries; and on the other hand, the natural desire to produce a complete and perfect work will lead one to invent and draw up a system that, we are sure, will disappear like the others. There is a huge distance between the anarchist individualism of Spencer and other bourgeois thinkers and the individualist-socialist anarchists (I can find no other expression), as there is between Spanish collectivists from one region to another, among the English and North American mutualists, or among the libertarian communists. Kropotkin, for example, speaks to us of the “industrial town”, reducing its system, or if one prefers its concept, to the coming together of small communities that produce what they want, thus making a reality, so to speak, of the biblical heaven-on-earth out of the present state of civilization. Whereas Malatesta, who is also a libertarian communist, points to the constitution of large organizations who exchange their products between them and who will increase this creative power even more, this amazing activity that is unfolded by the 19th century, purged of all injurious action. Each powerful intelligence gives its indications and creates new roads to the Future Society, winning supporters through some hypnotic power (if we can say so), suggesting these ideas to others, with everyone in general formulating their own particular plan. Let us agree then, as almost all of us in Spain have done, to call ourselves simply anarchists. In our conversations, in our conferences and our press, we do discuss economic questions, but these questions should never become the cause of division between anarchists. For our propaganda to be successful, for the conservation of the idea, we need to know each other and see each other, and for this reason we have to set up groups. In Spain these groups exist in every locality where there are anarchists and they are the driving force of the whole revolutionary movement. Anarchists do not have money, nor easy means to find it. To get around this, most of us voluntarily make a small weekly or monthly contribution, so that we can maintain the relations necessary between every member. We could maintain relations with the whole World, if other countries had an organization like ours. There is no authority in the group: one comrade is appointed to act as treasurer, another as secretary to deal with correspondence, etc. Ordinary meetings are held every week or fortnight; extraordinary meetings whenever they are necessary. In order to save on expenses and work, and also as a measure of prudence in case of persecution, a commission of relations is created on a national level. But it does not take any initiative: its members must go to their groups if they wish to make proposals. Its mission is to communicate the resolutions and proposals that are communicated to it from one group to all groups, to keep lists of contacts and provide these to any group that should ask for them, and to make direct contact with other groups. Such are the general lines of the organization that were accepted at the congress of Valencia and about which you spoke in La Révolte. The benefits that are produced are immense – and that is what stokes the fire of anarchist ideas. But rest assured that if we reduced action to anarchist organization, we would obtain very little. We would end up transforming it into an organization of thinkers who discuss ideas and which would certainly degenerate into a society of metaphysicists debating words. And this is not unlike the situation you find yourselves in [in France]. Using your activity only to discuss the ideal, you end up debating words. 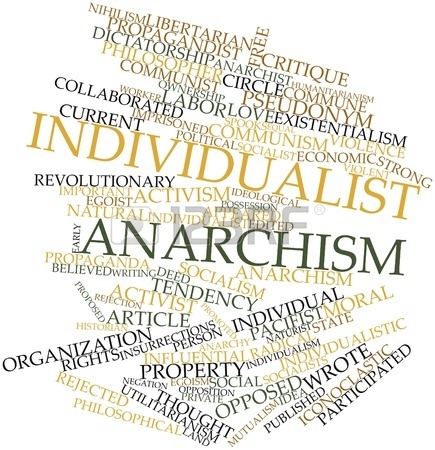 The ones are called “egoists” and the others “altruists”, though both want the same thing; some are called “libertarian communists” and others “individualists”, but at the root they express the same ideas. We should not forget that the great mass of proletarians is forced to work an excessive number of hours, that they live in poverty and that consequently they cannot buy the books of Buchner, Darwin, Spencer, Lombroso, Max Nordau, etc., whose names they will hardly even have heard. And even if the proletarian could obtain these books, he lacks the preparatory studies in physics, chemistry, natural history and mathematics that would be necessary to understand what he is reading well. He has no time to study with method, nor is his brain exercised enough to be able to assimilate these studies. There are exceptions like the case of Esteban in [Zola’s novel] Germinal, those whose thirst for knowledge drives them to devour whatever falls into their hands, though often little or nothing is retained. Our field of action, then, lies not within these groups, but among the proletarian masses. It is in the societies of resistance where we study and we prepare our plan of struggle. These societies will exist under the bourgeois regime. Workers are not writers and care little whether there is freedom of the press; workers are not orators, and care little for the freedom to hold public meetings; they consider political liberties to be secondary things, but they all seek to improve their economic condition and they all seek to shake off the yoke of the bourgeoisie. For this reason there will be labour unions and societies of resistance even while there still exists the exploitation of one man by another. This is our place. By abandoning them, as you have done [in France], they will become the meeting places of charlatans who speak to the workers of “scientific socialism” or practicism, possibilism, cooperation, accumulation of capital to maintain peaceful strikes, requests for aid and the support of the authorities, etc., in such a way that will send the workers to sleep and restrain their revolutionary urges. If anarchists were part of these societies, at least they would prevent the “sedators” from carrying out propaganda against us. And furthermore, if, as is the case in Spain, the anarchists are the most active members of these societies, those that carry out whatever work is needed for no reward, unlike the deceivers who exploit them, then these societies will always be on our side. In Spain it is these societies who buy large amounts of anarchist newspapers every week to distribute free of charge to their members. It is these societies who give money towards supporting our publications and aiding prisoners and others who are persecuted. We have shown by our work in these societies that we fight for the sake of our ideas. In addition, we go everywhere there are workers, and even where there are not, if we think that our presence there can be useful to the cause of Anarchy. Thus is the situation in Catalonia (and increasingly so in other regions of Spain), where there is hardly a municipality where we have not created or at least helped to create groups – be they called circles, literary society, workers’ centres, etc. – which sympathize with our ideas without describing themselves as anarchist or even being really anarchist. In these places we carry out purely anarchist conferences, mixing our revolutionary work together with the various musical and literary meetings. There, seated at a coffee table, we debate, we meet every evening, or we study in the library. This is where our newspapers have their editorial offices, and where we send the newspapers we in turn receive to the reading room; and all this is freely organized and almost without expense. For example, in the Barcelona circle it is not even required to become a member; those who so wish can become members and the monthly contribution of 25 centimas is also voluntary. Of the two or three thousand workers who frequent the circle, only three hundred are members. We could say that these places are the focal point of our ideas. Nevertheless, although the government has always sought pretexts to close them down, it has never come up with anything, because they do not describe themselves as anarchist and private meetings are not held there. Nothing is done there that could not be done in any public café; but because all the active elements go there, great things often arise over a cup of coffee or a glass of cognac. We nearly forgot the cooperative societies for consumption. In almost every town of Catalonia – except Barcelona, where it is impossible due to the great distances involved and the way of life – consumption cooperatives have been created where the workers can find foodstuffs that are cheaper and of better quality than at the retailers, where none of the members considers the cooperative to be an end in itself, but a means to be taken advantage of. There are societies that make large purchases and that have credit of fifty or sixty thousand pesetas, that have been very useful in strikes, giving credit to workers. In the literary societies of the “gentlemen” (or wise men, as they are often known), they discuss socialism; two comrades then register as members (if they do not have the money, the corporation will see to it) and go to stand up for our ideas. The same happens with our press. It never leaves aside anarchist ideas; but it gives room to manifestos, statements and news which, although they may seem of little importance, serve nonetheless to allow our newspaper – and with it our ideas – to penetrate into towns or areas that know little of our ideas. These are our tactics and I believe that if they were adopted in other countries, anarchists would soon see their field of action widen. Remember that in Spain most people cannot read; but despite this, six anarchist periodicals, pamphlets, books and a great many leaflets are published. There are continually meetings and, even without any great propagandists, very important results are achieved. Published in La Révolte, 3 no. 51 (6-12 septembre 1890): 1-2. ; 4 no. 1 (13-19 septembre 1890) : 2. 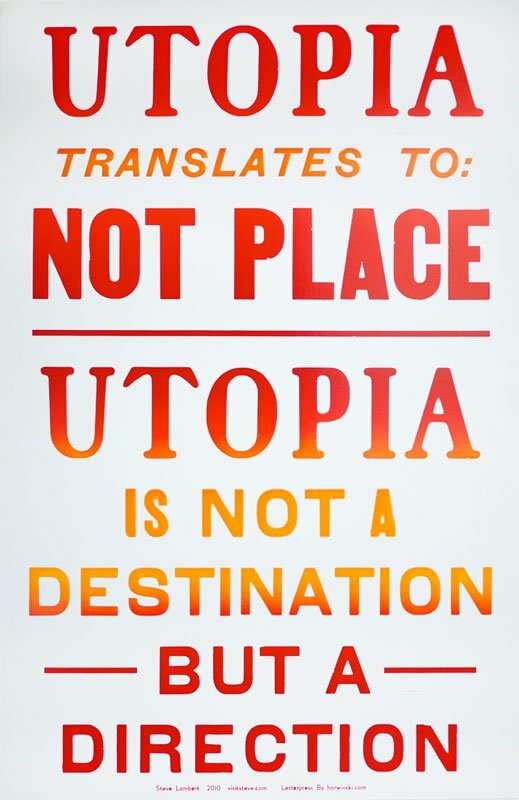 This translation by Nestor McNab can be found at: http://www.anarkismo.net/newswire.php?story_id=4717&print_page=true. (en) France, Alternative Libertaire AL release - Our Lady of Paris: A roof is a right ?